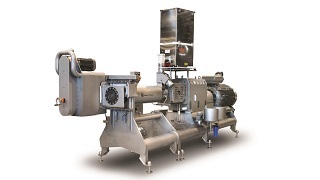 The Spectrum colour change system extends the capability of twin-screw extruders by enabling rapid colour changes to be made ‘on the run’ with minimal waste. 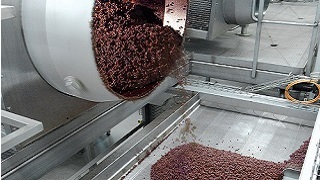 A typical application is running mixed fruit colours for a single pack in a continuous run. The Spectrum system allows up to five variants to be produced - one natural plus four colours. 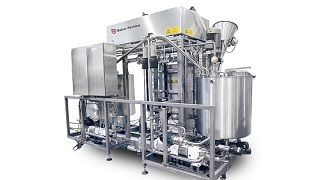 The skid-based Spectrum system ends the inconvenience and cost of separate production runs for each different coloured product, plus cumbersome storage and mixing which impacts on waste, hygiene and shelf life. The colour is introduced in the extruder barrel and thoroughly mixed with the other ingredients; an innovative reduced-volume die minimizes the differential flow rates between the centre and outside of the die, making the transition phase between colours extremely rapid. 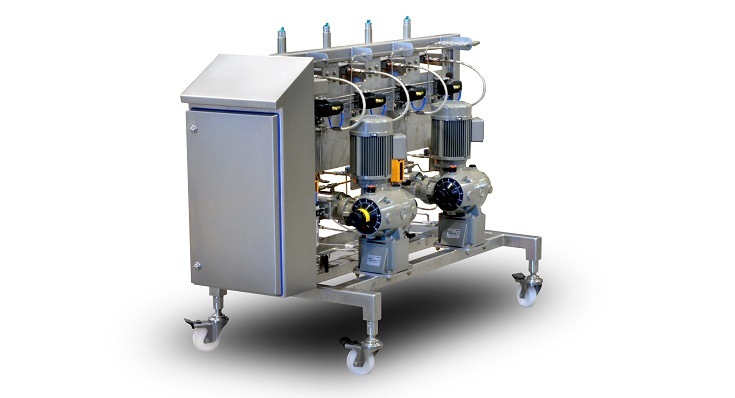 The system comprises a liquid feed system to pump water, oil and process colours from holding tanks, and is controlled from the extruder HMI. 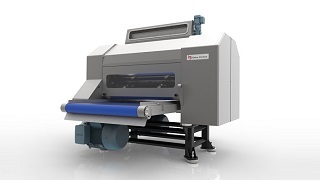 Simple, intuitive controls with touch screen interface help operators optimize efficiency. 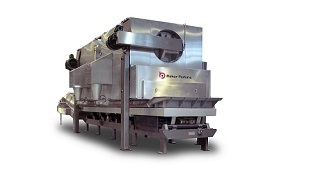 The one-piece stainless steel frame ensures excellent access from outside the machine for cleaning and maintenance, with hygienic components and materials used throughout. 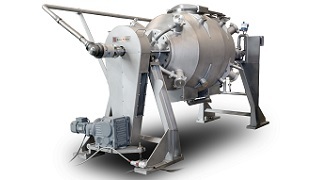 The Spectrum colour changer is a remote mounted liquid feed system that pumps water, oil and process colours from holding tanks into the extruder barrel. 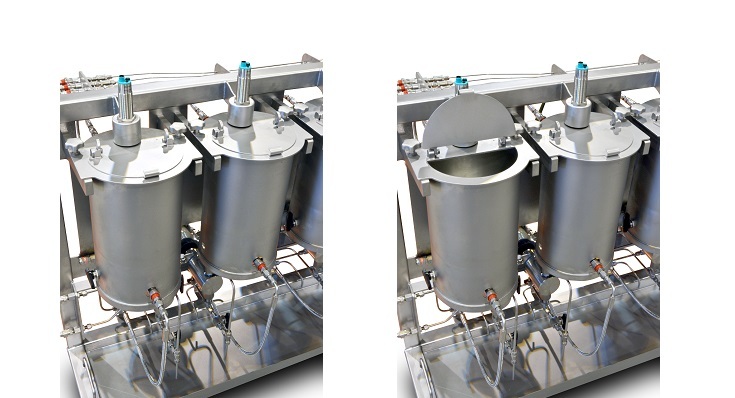 • Three stainless steel holding tanks for colours. 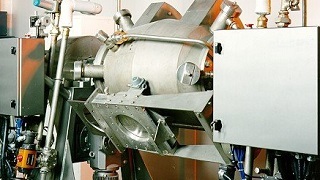 Each tank has a low level probe. • Three progressive cavity transfer pumps. 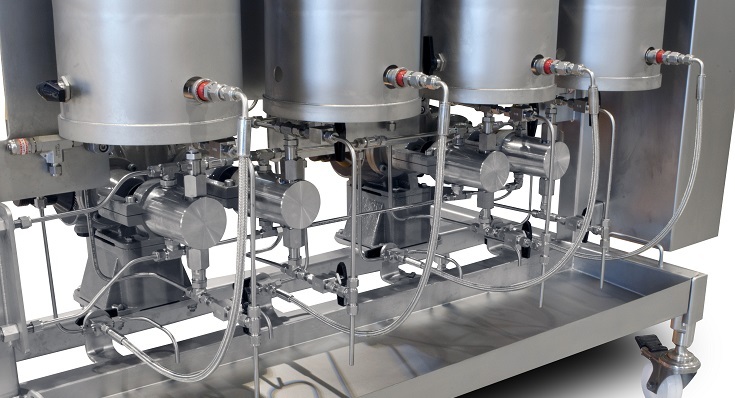 • Three Endress & Hauser Promag flowmeters for closed loop control of the colours via inverter driven pumps. • One set of automatic routing valves. 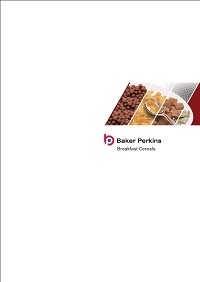 • Stainless steel base frame. 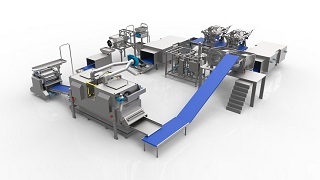 Additional equipment allows five variants to be produced – one natural plus four colours. 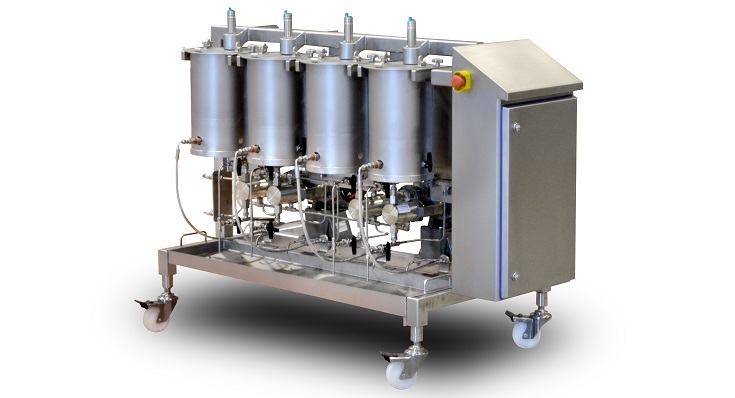 The technology used by the Spectrum colour changer can be adapted for transitions of other liquid ingredients, such as flavourings or co-extruded fillings.